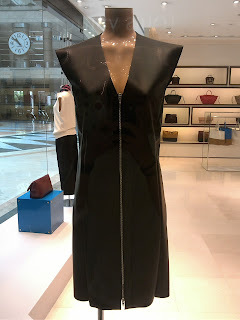 LBD is the abbreviation of little black dress, a very simple outfit consists of black materials made into a dress. It is very functional yet economic since it can be matched with accessories or jewelries or plus other oufits like bolero or vest if you want to appear different each time. Celine boutique at Plaza Senayan, Jakarta, is displaying two LBDs that are showstopper and very standout. The first is decorated with metallic zippers that are very obvious. 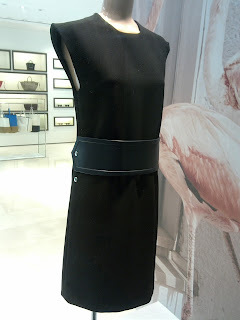 The other LBD has a wide leather belt that might look like an obi. Georgeous!